A cabaret artist from Australia is to appear at the Crazy Coqs on Monday who has been described as one of the funniest pianists in the world. David Scheel first burst onto the scene just over 20 years ago, when his solo concert, Don’t Shoot Me, I’m Only the Piano Player, sold out at three consecutive Edinburgh Festivals, in London’s West End, and instantly had him acclaimed as the most original musical humourist of his generation. 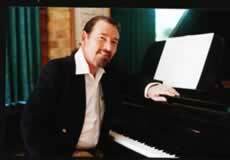 A flood of British radio and television appearances rapidly cemented his reputation, and naturally led to inevitable comparisons with the legendary Victor Borge. As well as sending up the classics, he may play a piece by Bach with one hand, and another by Andrew Lloyd Webber with the other, simultaneously. His “translation” of the lyrics of Waltzing Matilda is described as a genuine comedy classic, as is Everything You Need to Know about Classical Music Explained in 5 Minutes. But the comedy isn’t confined just to music. David Scheel also sends up, or tears down, many of the icons of modern living: supermarket culture, the internet, text messages, Celebs, and he does so armed with a locker as full of comic voices and accents as Robin Williams, and – personally, I think this is important -without using a single four-letter word. “If you need to use bad language to get laughs, then your core material isn’t strong enough,” he says. My thoughts exactly. 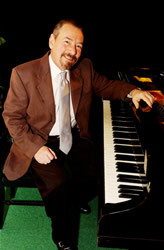 As well as funny, Scheel is a highly skilled concert pianist, and composer. Pure music lovers will not be short-changed. It was fortunate to have an opportunity to see Scheel at work, as there has been a 20 year absence since he played in London, apparently. The show, as expected, had plenty of amusing anecdotes on his musical life, including a time when he ran a nightclub here in London called Fouberts, and he had some sharp quips for some of his pet hates about modern life. We saw him playing familiar tunes in different styles and genres, and lots of fun was had here, but for me the standout moments were when he allowed himself the luxury of simply playing for us. A fine classical pianist, it was a delight to hear some little known pieces played in the beautiful room that is the Crazy Coqs, including the seldom heard Spanish piece Manuel de Falla’s Flamenco from La Vide Breve, and some of his own compositions such as Dance of the Birds, inspired by the romantic mating ritual of cranes, from his album Hymn for Planet Earth Suite. There was also a fascinating item when he improvised on four notes volunteered by the audience. Scheel hopes to return to London in two years time after an extensive tour to the United States, where he is better known and sells out large venues, so that will be a good time to catch him. This entry was posted in News and tagged Crazy Coqs, David Scheel. Bookmark the permalink.